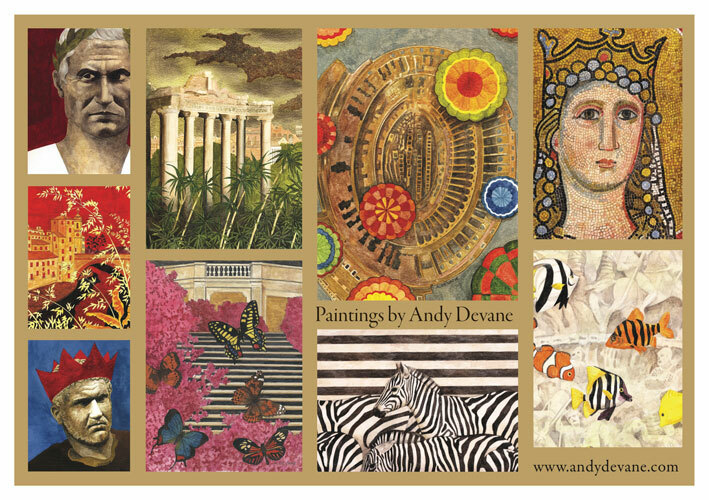 Since moving to Rome in 2000, the ambience and sites of the Eternal City have captured the imagination of Irish artist Andy Devane. 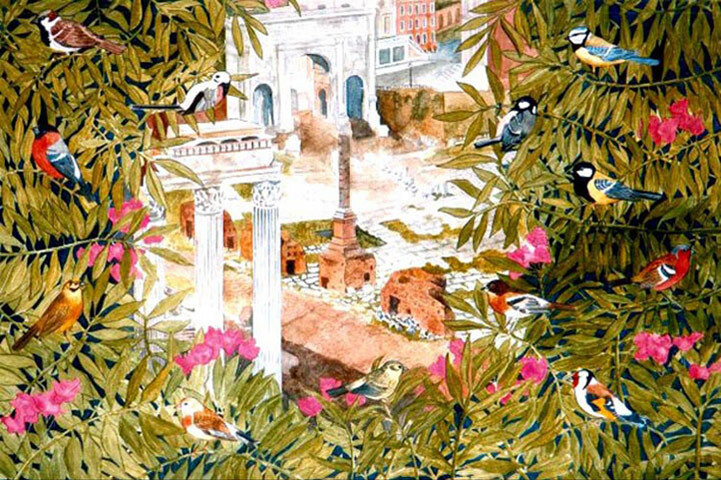 His latest exhibition of paintings and illustrations continues his trademark mixture of history and whimsy, and follows last year's successful London show. 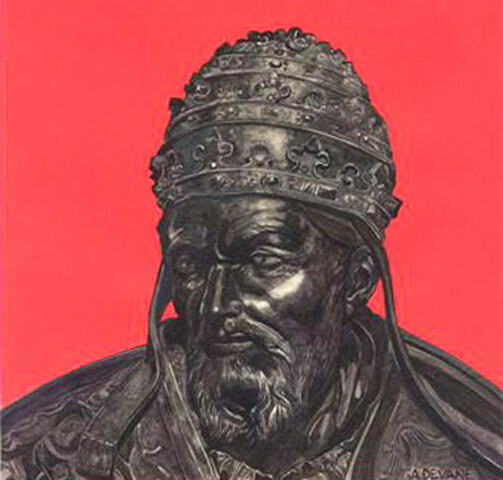 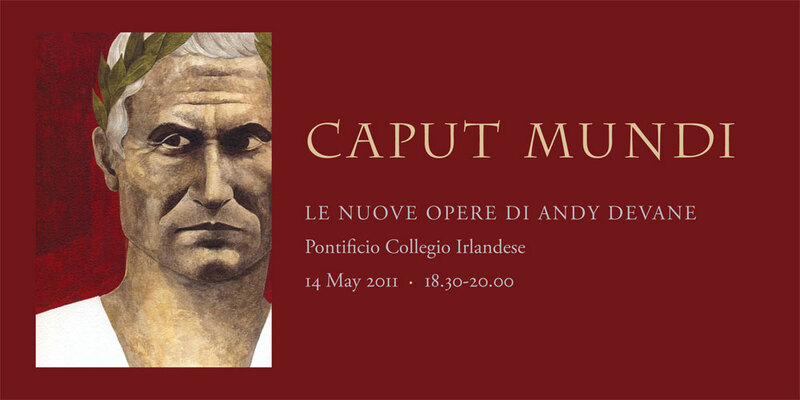 Caput Mundi is for one night only and will be launched by H.E. 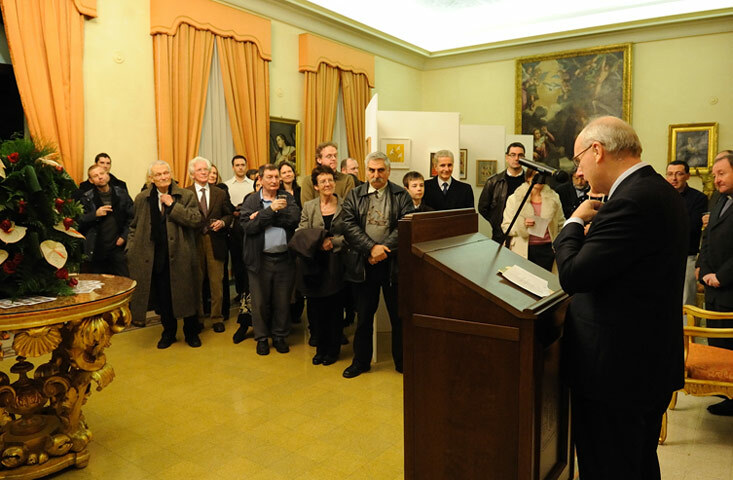 Patrick Hennessy, Ambassador of Ireland to Italy. 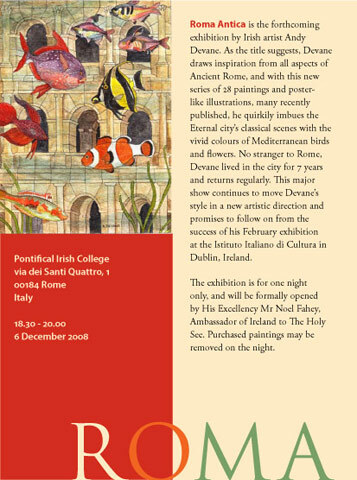 Pontifical Irish College, Via dei Santi Quattro 1, 00184 Roma. 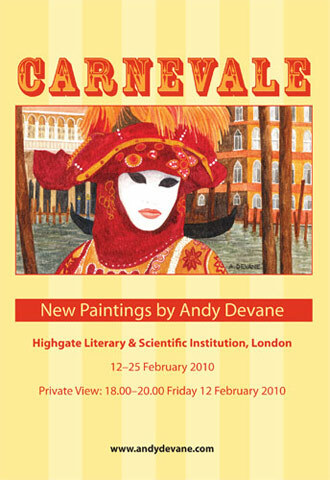 'Carnevale', an exhibition of new work by Irish artist Andy Devane, takes place in Highgate Gallery, London in February 2010. 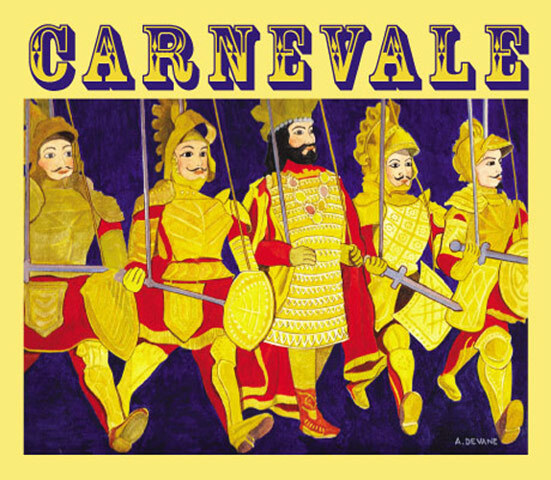 Devane takes the Italian festival of Carnevale as his inspiration, and treats the cities of Rome and Venice as giant funfairs, full of the colour and excitement associated with an evening at the circus. 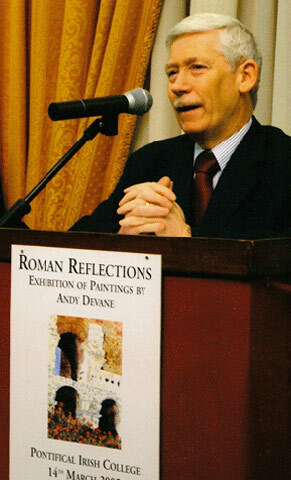 Devane lived in Rome for seven years and knows his subject matter well. 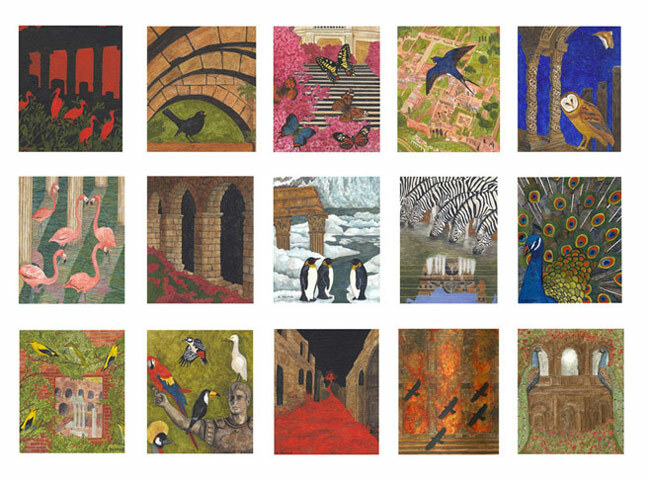 In addition to his richly-painted illustrations, his latest show includes larger works on canvas, displaying his trademark use of strong colour and fine detail. 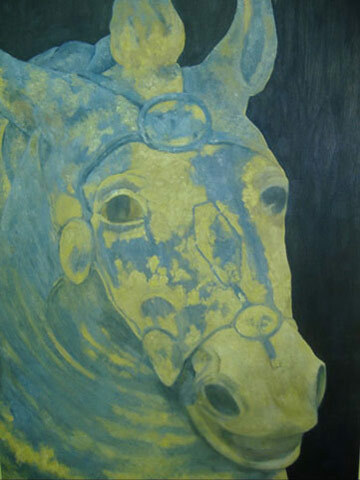 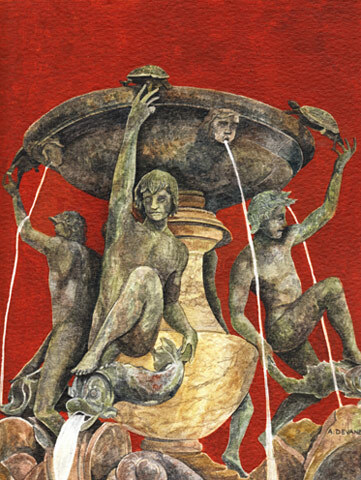 Carnevale, which is kindly supported by the Embassy of Ireland to Great Britain, comprises 30 paintings and promises to follow on from the success of his 2008 exhibitions in Dublin's Istituto Italiano di Cultura and Rome's Pontifical Irish College. 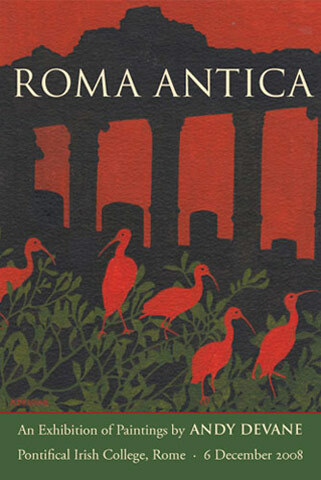 "Devane's art shows all the trappings of a solid understanding of the Italian spirit conveyed with uncanny originality and kindled by dazzling colours." 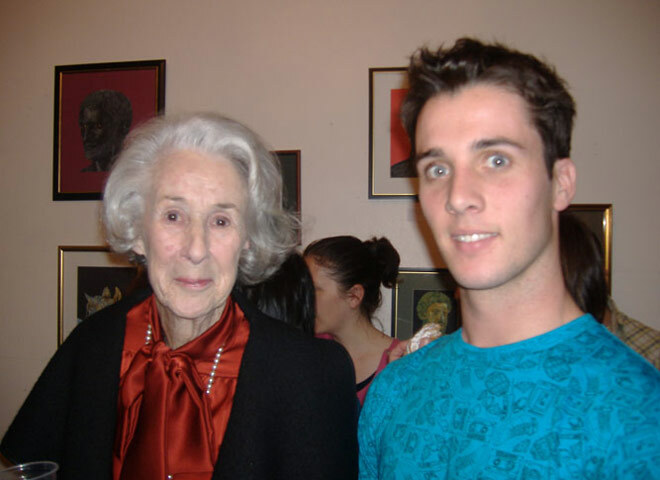 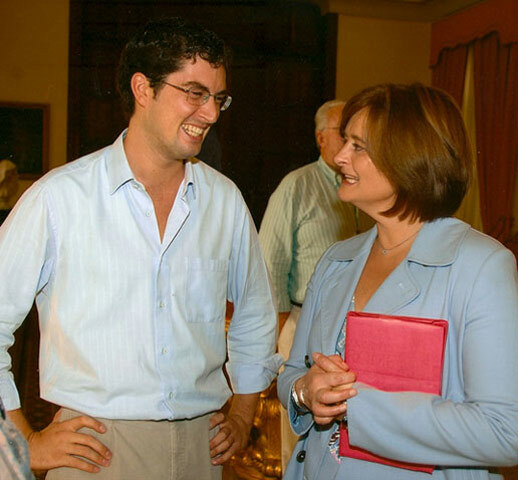 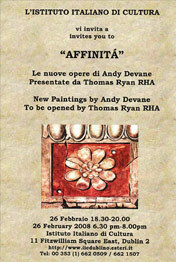 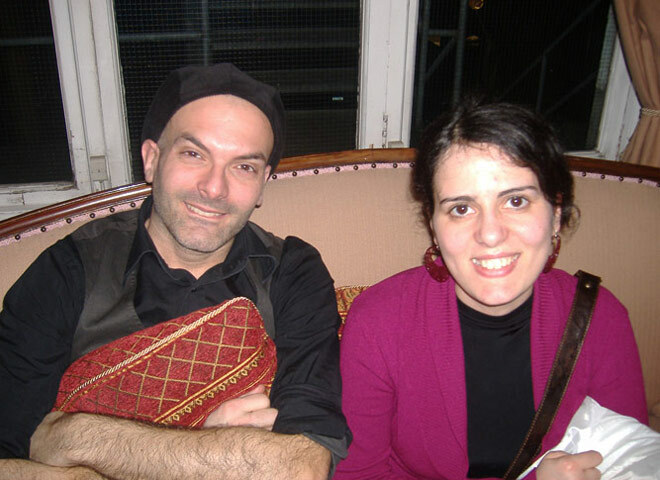 In 2008 February Devane exhibited "Affinitá" at the Italian Cultural Institute in Dublin's Fitzwilliam Square. 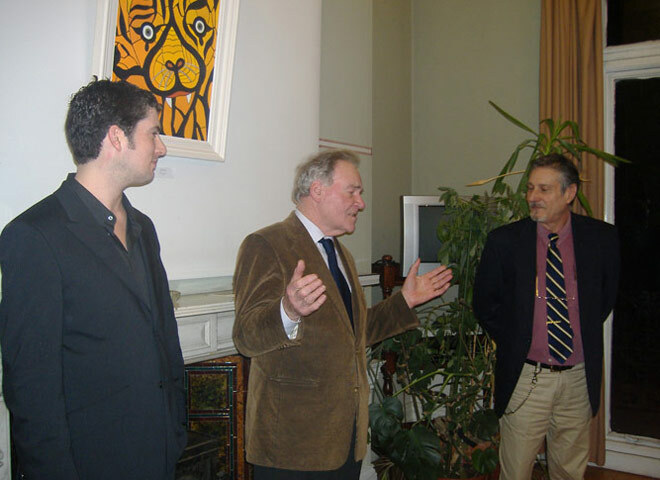 Comprising 29 paintings, the show was opened by Past President of the Royal Hibernian Academy, Dr Thomas Ryan PPRHA and Dr Bruno Busetti, Director of the Institute. 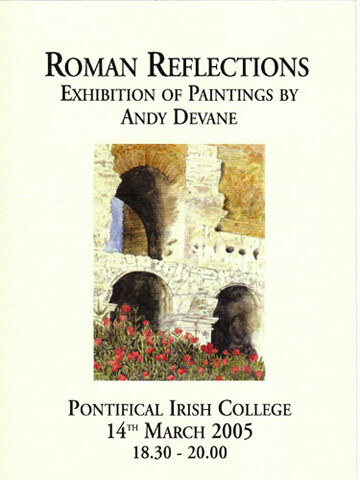 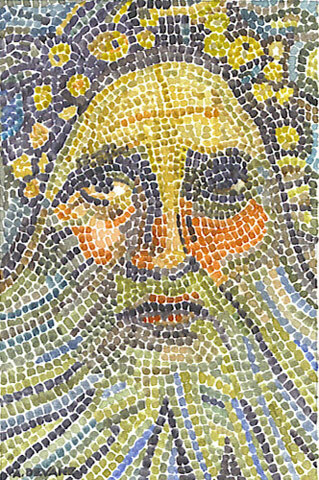 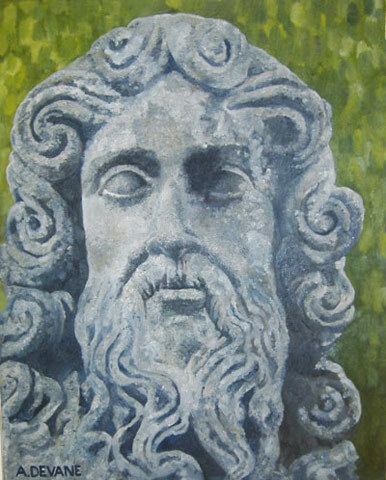 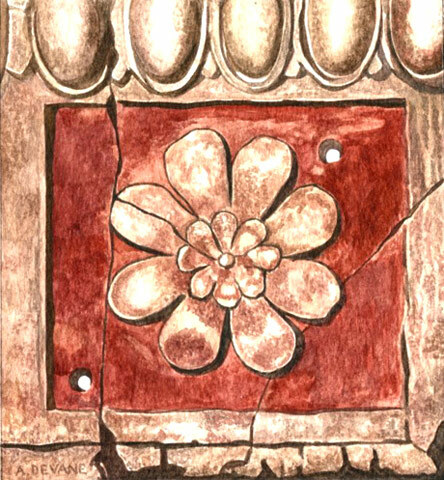 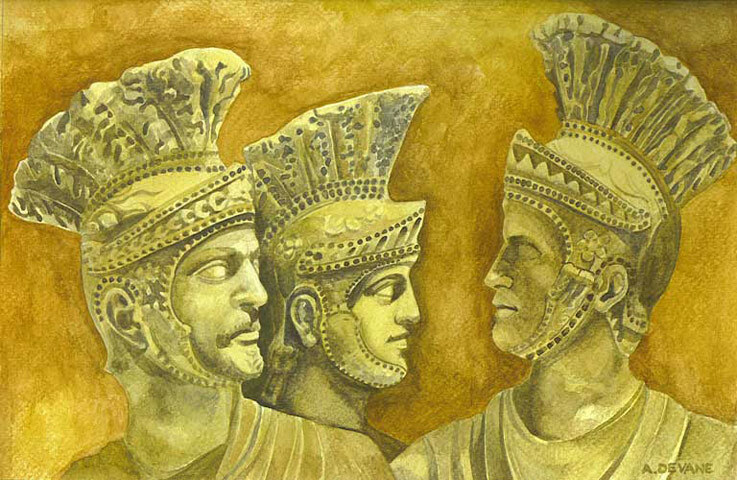 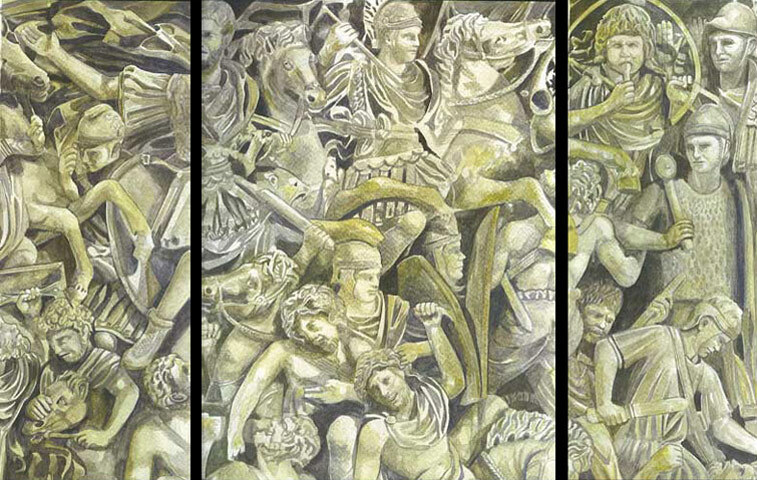 Roman Reflections: During St Patrick's Week 2005, Devane staged his first solo exhibition, of 36 watercolours depicting the Roman Forum and various Italian islands he had visited. 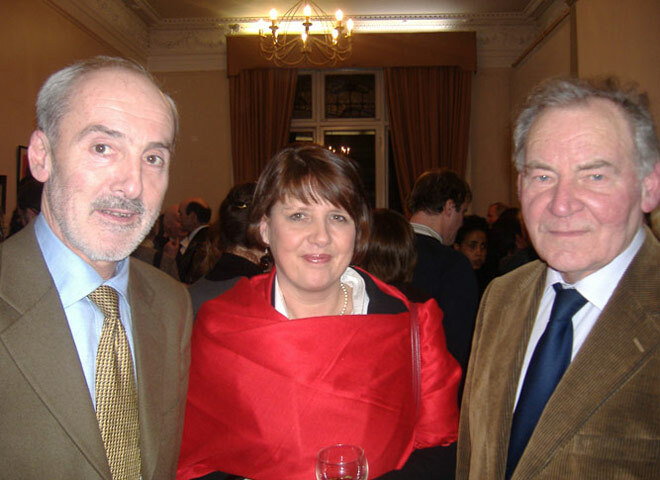 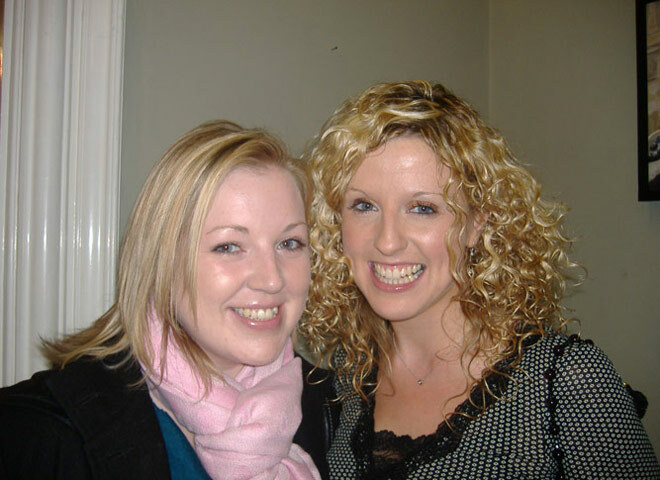 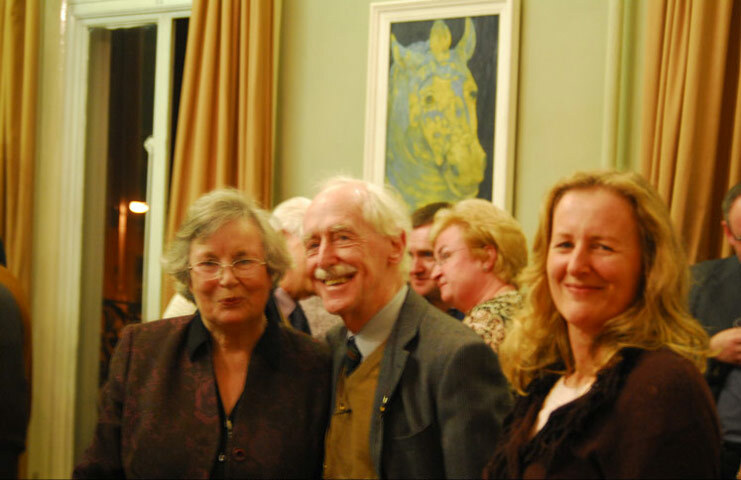 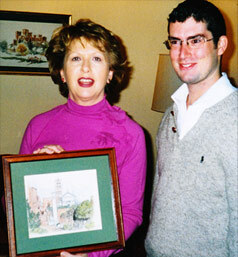 The show was held in the Pontifical Irish College, Rome and was opened by H.E. 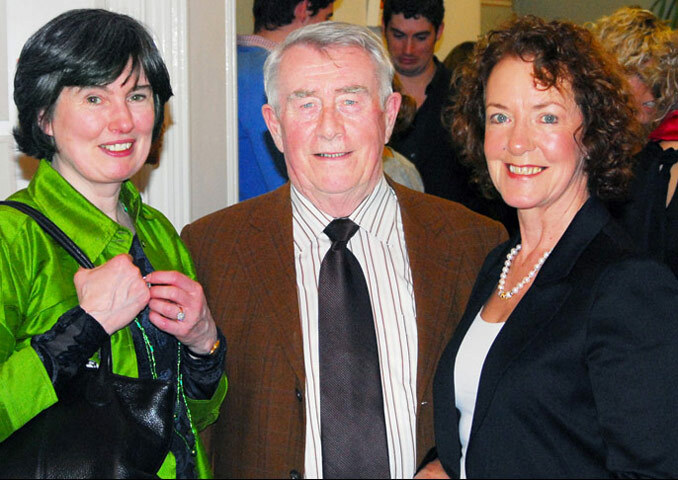 Mr Frank Cogan, Ambassador of Ireland to Italy.